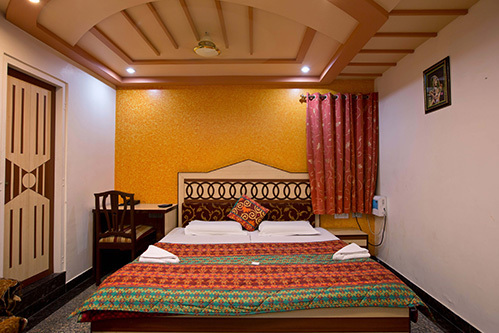 Being the one of the finest budget hotels in Jaipur, we’re proud to offer the best budget accommodations in Jaipur with a host of comforts and services in settings that reflect the spirit of Rajasthan and its royalty. We have 35 rooms equipped with all the modern amenities. The hotel offers a wide variety of accommodation ranging from Semi Deluxe rooms to royal super deluxe rooms that will suite every budget. 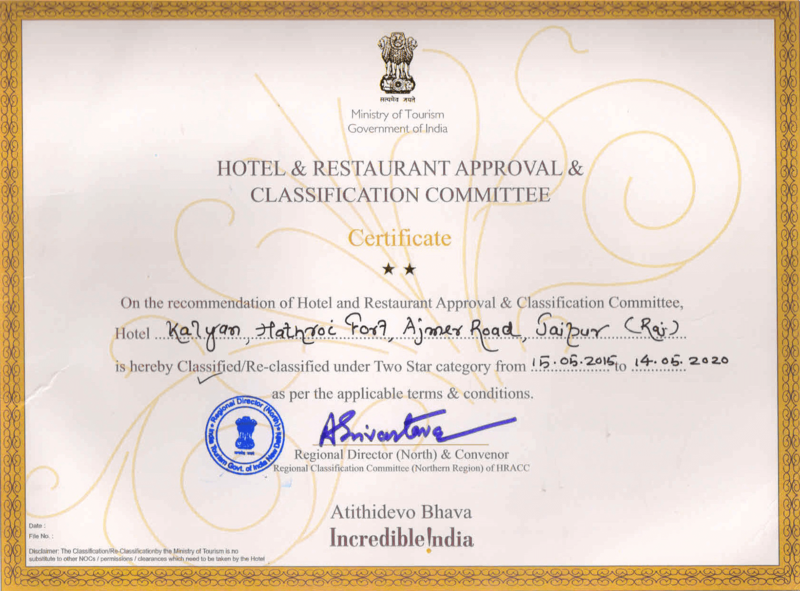 Our rooms at Hotel Kalyan has been designed and furnished to showcase the skill and expertise of Rajasthani artisans. 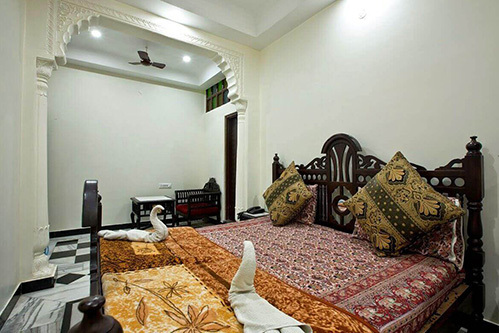 The rooms are traditionally designed in heritage style with beautiful hand crafted ceilings and paintings which will enthral you. The rooms are decorated in a traditional style which will give you feel as if you are living in a palace. Some even have traditional heritage Jharokha windows. Just 1 kilometre from the railway station and 1 Kilometre from bus stand our regal-influenced design echo the city’s history. 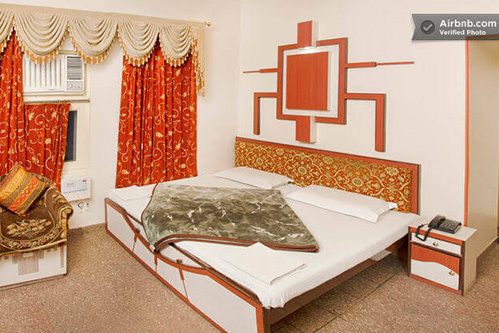 Hotel Kalyan offers a variety of accommodation ranging from singles, doubles, triples and quadruples. Ranging with every budget the hotel offers different kinds of room fitting for every pocket. 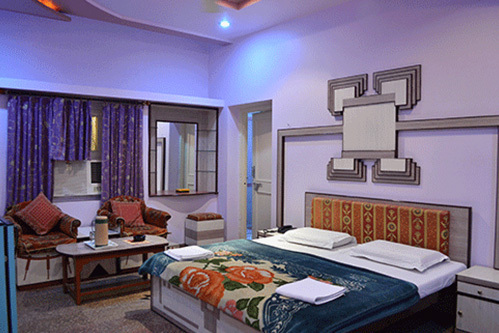 Our Rooms have attached Bathrooms with the modern amenities with magnificent view of the road side. The rooms have facilities such as free wifi, 24 hours hot/cold running water, power back up, satellite t.v. 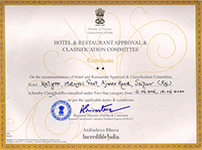 providing all international and Indian channels, telephone, hair dryer, 24 hours room service, Intercom facility. All our rooms have cross-ventilation. Some rooms are on the rooftop terrace garden and have an extensive beautifully planted balcony. Our hotel lays emphasis on quality and understated elegance. From leisure trips to extended business stays, our personalized services offer you unmatched charisma and world-class hospitality. 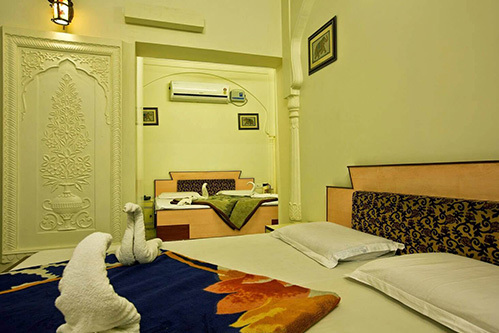 For your next trip to the pink city, book your stay at the top boutique hotel in Jaipur. Retreat to our guest rooms and suites equipped with modern amenities.